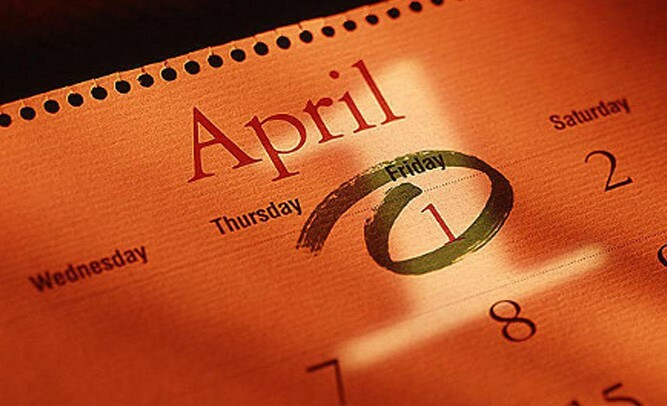 It’s unclear exactly where the April Fool tradition originated, but some people are more than happy to have the opportunity to play personal pranks on their friends, family or coworkers. Similar precursor holidays can be found in Rome (the Festival of Hilaria on March 25th) and the medieval Feast of Fools in December. Some believe that the holiday stems from Pope Gregory XIII’s decision to restore January 1st as New Year’s day on the Gregorian calendar – the Julian calendar that it replaced celebrated New Year’s day on April 1st. We thought we might offer a few ideas for the more mischievous among you (and if you’re not prone to mischief, now you’ll have some idea of what to look out for).We definitely don’t advocate hurting anyone or destroying or damaging anyone’s property, but if you want to prank someone – here are some good ways to do it! *Block someone’s computer mouse sensor with a piece of paper and some tape. *Hide a toy snake around the house (or the office). *Rearrange someone’s drawers to seriously confuse them when they’re half awake on April Fools’ Day morning. *Paint a bar of soap with clear nail polish so it will no longer lather. *Or be a traditionalist — on April 1 send a co-worker to fetch a tube of elbow grease or 50 feet of shoreline. Share your best prank on our Facebook page. We’d love to hear it!